The fully renovated Channel Road Inn is located in Santa Monica, CA and offers 15 individually decorated guest rooms, each with a private bath. The Inn blends the modern luxuries and sophisticated services of a boutique hotel with the traditional amenities and architecture of a B&B. The Channel Road Inn is located in Santa Monica and is part of the prestigious Four Sisters Inn collection. This seaside retreat offers modern luxuries and sophisticated services to guests looking for a peaceful getaway. Great for business travelers, couples and families, our pet-friendly accommodations are located nearby Los Angeles’ entertainment scene. 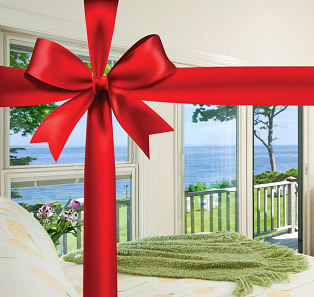 Guests can enjoy the luxury of fireplaces, jetted spa tubs and ocean balcony views from one of the inn’s 15 rooms. There are six room types for guests to choose from that are practical, spacious and comfortable. A bountiful breakfast greets guest each morning and afternoon wine and hors d’oeuvres sets the tone for an evening of activities. Pet Policies: Advance pet reservations required. Additional fee applies.